5. Software sensors (e. g. CPU load, network etc. 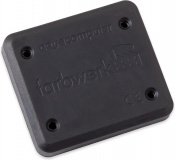 ): Like the aquaero, the farbwerk can be configured to use software sensors. The communication between the aquasuite and the tools HWiNFO, AIDA and Open Hardware Monitor allows to use many different system values to control the channels. For example, the CPU load can be used to automatically adjust the color within a specific range. Since these software sensors can also be accessed via Bluetooth, it would be possible to display them on a smartphone. 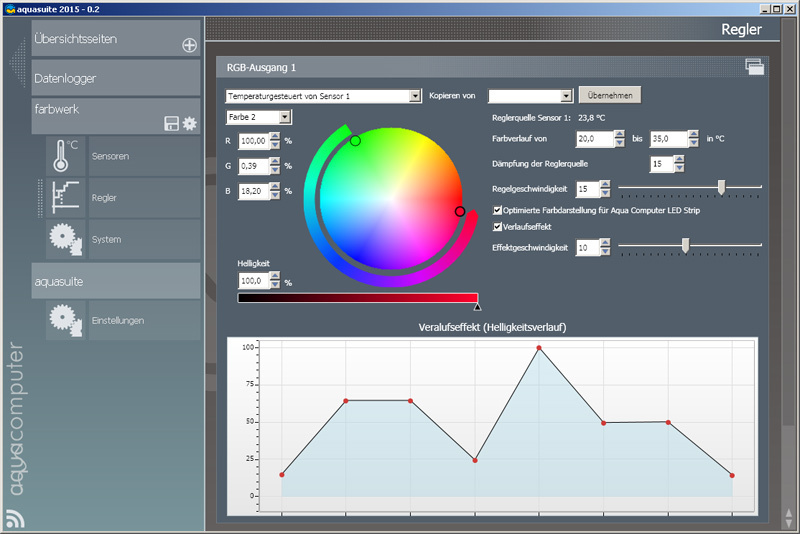 The farbwerk can be configured using the free of charge "aquasuite" software and an USB connection to the PC. The aquasuite supports an unlimited number of simultaneously connected farbwerk controllers. The configuration is saved in the farbwerk's microprocessor, so USB can be disconnected after initial setup. In addition to the USB interface, an aquabus or Bluetooth interface is also available depending on the version of the farbwerk. 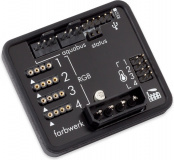 The Bluetooth and aquabus version of ther farbwerk can have all outputs controlled via Bluetooth, additionally all sensor inputs are available via Bluetooth. This requires a Bluetooth device as well as an app. 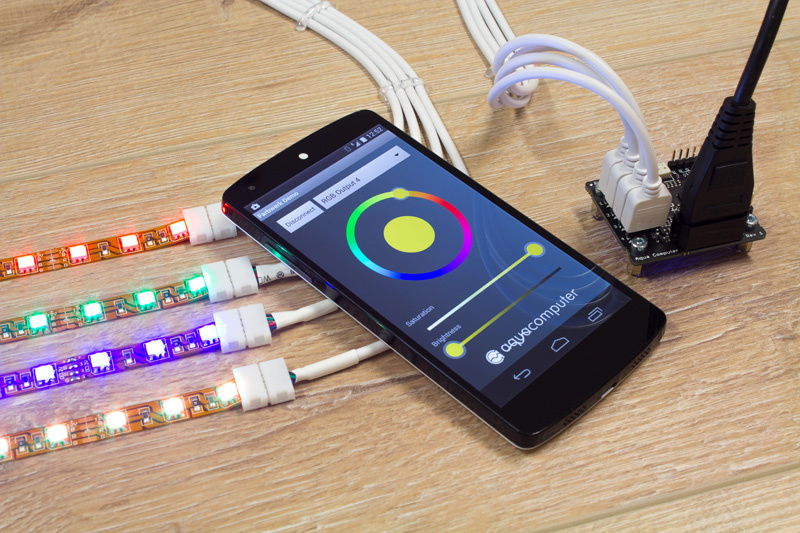 Aqua Computer currently supplies a basic Android demo app (compatible with Android 4.4 KitKat or higher) including source code that can be used to set the outputs of the farbwerk. Other mobile operating systems are not supported! All features of the aquabus version are available as well. As a matter of course, this version can also be used as an USB device without Bluetooth or aquabus connection.